My nominee for the next new Olympic sport is Thanksgiving. You got it – the whole darn tooting day. Think about it – you wake up, race to the kitchen, get a cup of joe and start cooking. Don’t sleep in, don’t pass go and definitely don’t collect $200. You are a man/woman/child/elderly person on a mission. 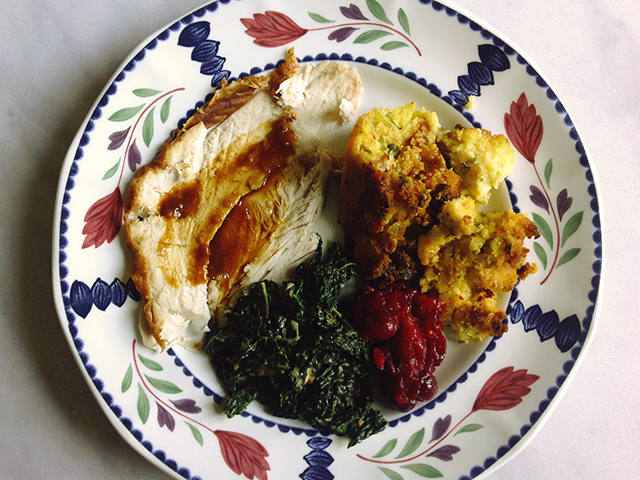 Because face it, Thanksgiving doesn’t cook itself. While everyone else is watching a bowl game or getting in a fight, you’re cooking. And we’re not talking about meat and 2 veg, we’re talking about a spread that would make a grown man/woman/child/elderly person cry. It takes planning, it takes energy and it takes courage. Ask me – and this is borderline blasphemy here – it’s the sides that get me excited. Don’t get me wrong, I love a slice or 10 of turkey but it’s the side dishes that get me all hot and bothered. And numero uno on my list is stuffing. It’s not hard to figure out why. We’re basically talking about bread and fat bound with eggs (actually it doesn’t sound great when I put it that way, but you know what I mean). Plus, stuffing is a carrier for gravy and that’s got to be a good thing. 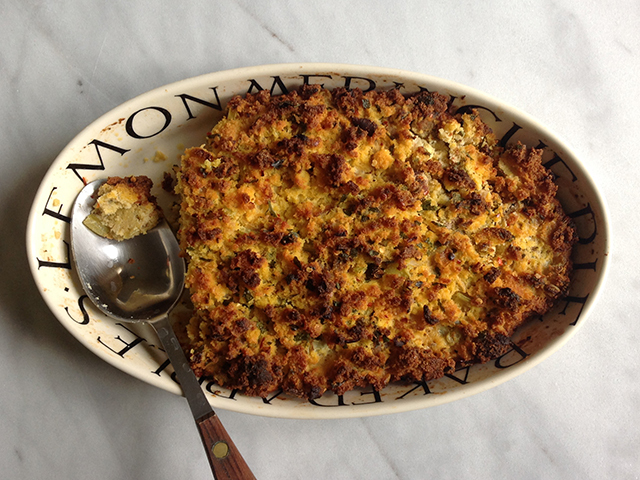 This stuffing is made with cornbread (doesn’t that make it gluten free and therefore good for you???) and laced with a healthy dose of chile and sausage. You can make the cornbread the day before – even sauté the celery and onion (pop them in the fridge overnight) – then just assemble. Stuff it in the bird if you want, although I’m a stuffing out-of-the-bird kind of guy – I find you get a nicer, crispier crust. 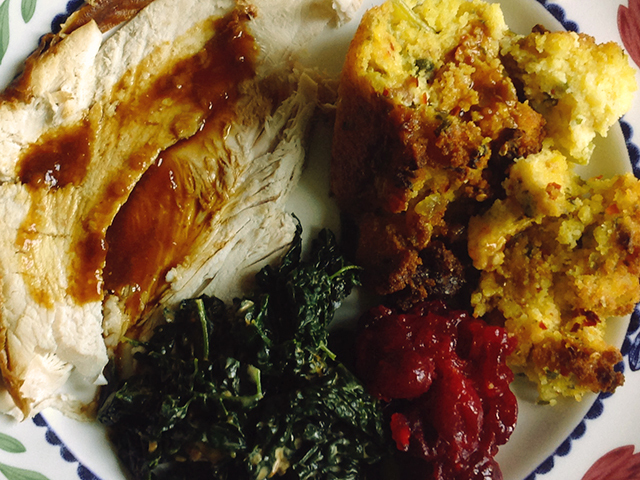 Best of all, if you haven’t invited over your whole extended family, you’ll have leftovers. And at the end of the day while you may not get an Olympic gold medal, l.o.’s are a pretty good consolation prize. I’ve included a cornbread recipe inspired by one I love from Cast Your Bread Upon the Water by Sister Schubert but use your own, if you want. 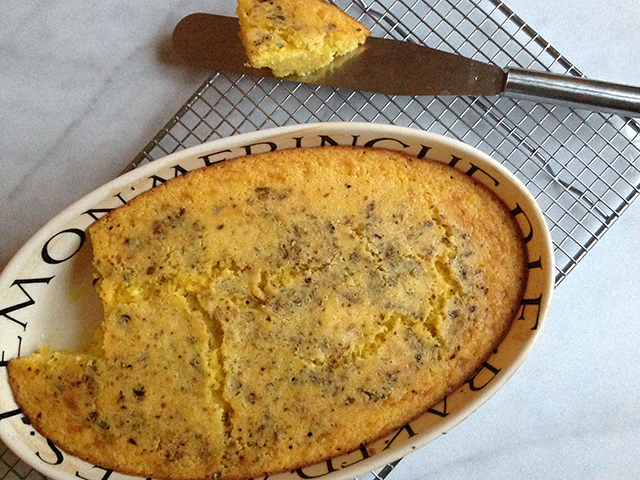 You’ll want a 9” pan of cornbread. When you’re making the cornbread, add the chile to the other dry ingredients. Preheat oven to 400º. Brush your baking pan with some of the melted butter. Mix the wet ingredients together in a large mixing bowl. Add the dry and stir to mix, being careful not to overwork. Pour into the baking pan and put in the oven. Cook for approximately 20-25 minutes or until a skewer comes out clean. Remove from oven and cool. Melt the 2 Tbsp butter in a pan and sauté the celery and onion until soft but not brown. Remove and place in a large mixing bowl. Crumble up the sausage and cook in the pan until just cooked through. Add the sausage meat (drain if necessary), cornbread, butter, broth, parsley, and eggs to the bowl. 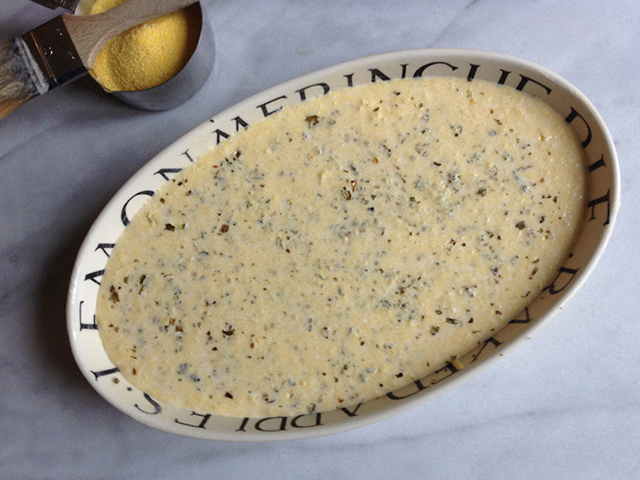 Mix and place into a greased casserole dish. Bake for approximately an hour until a skewer comes out clean. 1. You’ve brined it. You’ve deep-fried it. You’ve even tried (and failed) the infamous turkducken. So this year I want you to repeat after me, “It’s just a super-sized chicken. It’s just a super-sized chicken…”. Give it a chile spice rub, slather it in butter and wack it in the oven. Set the timer, watch the parade, and chill. Okay? If you’re still not satisfied, try Turkey Mole on for size. We’ve adapted a recipe from Chef Douglas Rodriguez and our own John Vollerston from Las Cosas Cooking School here in Santa Fe. They have reduced the time and preparation by creating a mole-inspired dry rub you can massage into ole Tom before he hits the oven. Hint: Make a double batch of the rub-it’s addictive-then use it to season Chicken and Pork. Mix together all the ingredients. Use at once or store in an airtight jar at room temperature for up to 3 months. For the Turkey1 (18-20-pound) turkey; neck, heart, and gizzard removed 5 ½ cups chicken stock 2 tbsp vegetable oil. Place thawed turkey on rack set in large roasting pan; tuck wings under. Sprinkle 1 tablespoon mole rub in main cavity of turkey and ½ cup spice mixture all over and under turkey skin; tie legs together to hold shape. Refrigerate uncovered overnight. Let turkey stand 1 hour at room temperature. Set rack at lowest position in oven and preheat to 450º. Brush turkey with vegetable oil and sprinkle with an additional ¼ cup of the mole rub. Pour 1½ cups chicken stock into pan with turkey. Reduce heat to 350º; place pan in oven and roast turkey 2 hours. Add 2 cups broth to pan; roast 1 hour. Pour 2 cups broth over turkey; cover turkey loosely with foil. Continue roasting until thermometer inserted into thickest part of thigh registers 175º, about 1 hour longer. Transfer turkey to platter, tent loosely with foil and kitchen towel, and let stand 30 minutes (internal temperature of turkey will rise 5 to 10 degrees). Skim fat from the pan reserving juices. Carve and serve with mole broth that is left in the pan after skimming. Enjoy! 2. While you’re giving that bad-boy-bird a spice rub with one hand, make a bloody mary with the other. Make it easy with Los C’s mix (hide the packet and say you made it yourself. We won’t tell). If you want to get all Martha Stewart, then wet the rim of your glass and dip it in a mixture of kosher salt and chile powder. Won’t you be popular! Spread potatoes on paper towels and dry well. In a medium bowl, whisk together yolks, cream, milk, sour cream, cheese, red chiles, cumin, and salt. Butter a 4 qt. casserole dish. Place potatoes in a large bowl and pour milk/cream mixture over them. Stir to completely coat potatoes. Place potatoes in casserole dish and crack fresh ground pepper over potatoes. Cover and bake at 400º for 30 minutes, uncover and continue baking until potatoes are tender and casserole is bubbling and nicely browned, about 20 minutes. 4. You made it through the Thanksgiving meal. You’ve ingested 3,500 calories. Now you’re hanging out watching a bowl game and you realize – OH NO! – I haven’t eaten in at least 20 minutes. Don’t panic! Have a batch (or 2) of these on hand when you get those post-turkey munchies. Toast the pecans in a dry skillet over medium heat. Toss them gently so they’re lightly browned but make sure they don’t burn. Remove the pecans from the pan. Add the butter and melt, then stir in the remaining ingredients. When the sugar has dissolved, add the pecans back to the pan. Stir for a few minutes until the pecans are well-coated. Remove from the pan and place them on a sheet of parchment paper. Separate the nuts with a fork (no fingers – they’re very hot!) and allow to cool until the sugar mixture has hardened onto the pecans. 5. Leftovers. You knew it was going to happen. Whip up some Turkey Enchiladas and feel the turkey glow. 6. 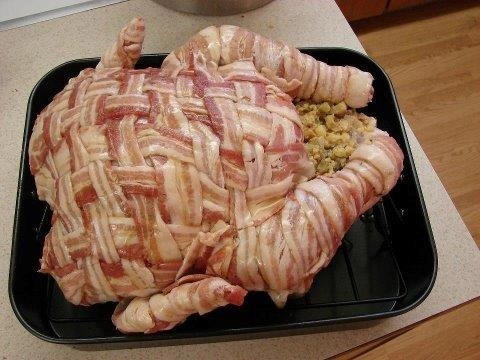 If all else fails, forget the turkey. Order a pizza and top it with some green chile. Go on. You know you want to.